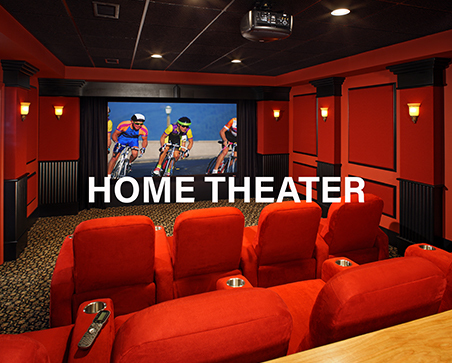 Award winning home theater and electronic technologies for home and business. 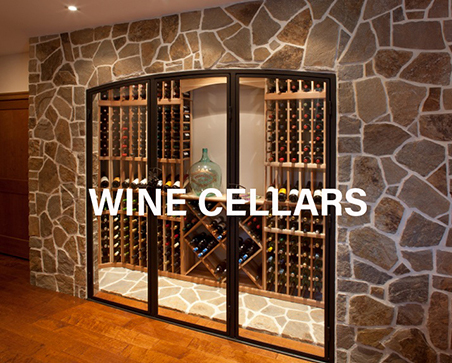 Media Rooms Inc. serves homeowners, architects, builders, interior designers and remodelers in Pennsylvania, Delaware and New Jersey. View the rest of our blog posts here. 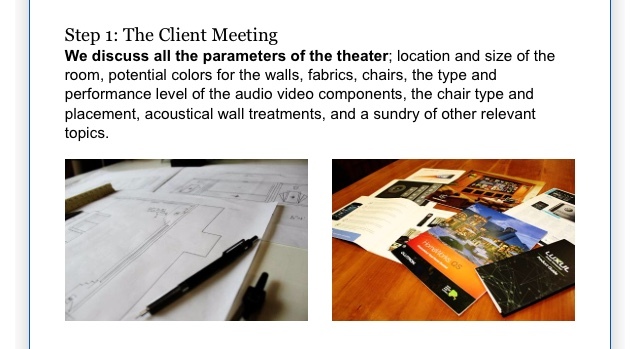 Our latest newsletter details Rob’s creative process in developing dedicated theater rooms. View the rest of our testimonials here. 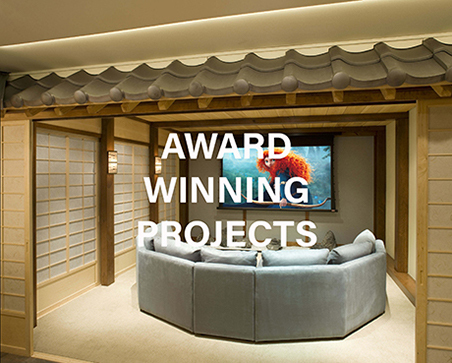 Rob and his team provided a holistic approach to our home theater space. My initial request was to install a projector and screen so that we could create a “family time space” now that our boys are getting older and enjoy watching movies as much as we do. Upon further discussion with Rob, I recognized that “doing it right the first time” was the better solution. Rob took the time to provide sketches of our space with different cabinet configurations that create a warm and inviting theater along with storage space, acoustic panels, lighting options as well as decor ideas, all within our budget. Upon choosing a design, his team worked diligently to deliver on time and worked with our schedule during the installation period. All of Rob’s team members – Joe, Doug and Chris are extremely responsive with any questions we had along the way. I would highly recommend Media Room’s for providing a custom home theater experience. 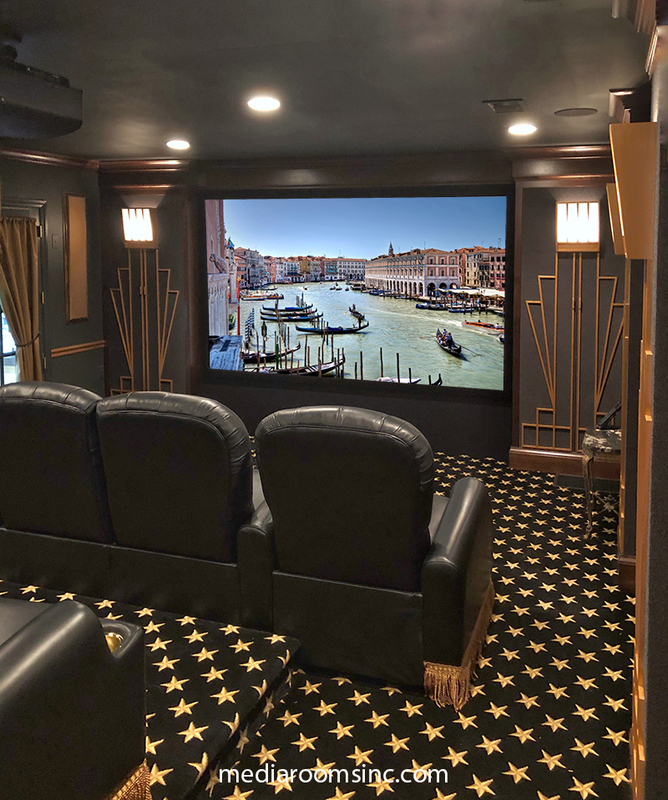 Rob and his crew at Media Rooms, Inc. did a phenomenal job designing, fabricating and installing the perfect media room in our basement. The room was challenging due to some issues related to dimensions and access to other rooms in the basement. The design worked out perfect and gave us an elevated platform with theater seating for 12 which is more than I could have possibly hoped for in that space. 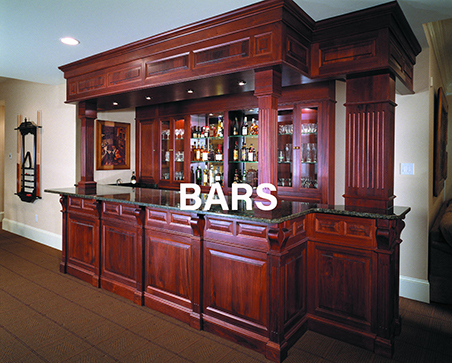 The quality of the carpentry and the materials that were used was top notch. Communication during the project was great. We could not have been happier with the results and we use our media room nearly every day. 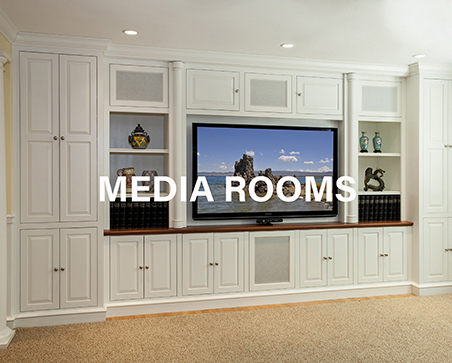 Our experience with Media Rooms Inc. is that it has been and is a total pleasure to work with them. They are the ultimate professionals. They are creative, knowledgeable and highly accomplished at their craft. They work extremely well in a team with the client, the interior designer, the contractor and their subs. 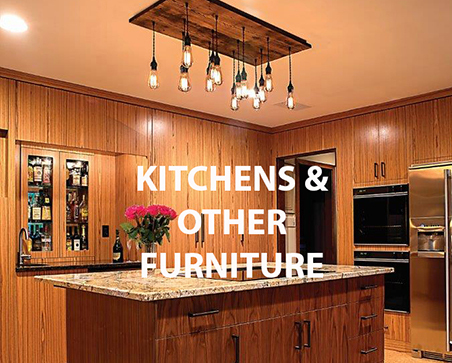 They also offer a wide range of services from A/V equipment, home theaters, custom cabinetry design, manufacturing and installation. We always have peace of mind when we refer a client to them and they are a valuable resource for successful design projects.